Do you look like your mother or your father? Perhaps, you look like both of them, or maybe you don’t look like your parents at all. Appearances aside, we are all a genetic mixture of our parents. We inherit half our DNA from our mother and half our DNA from our father. Each of our parents made equal genetic contributions. Or did they? In comes mitochondrial DNA (mtDNA). This is the DNA contained within tiny cellular structures called mitochondria. When an egg and sperm fuse together, the majority of the cell bulk (cytoplasm) comes from the egg. The mitochondria are all found in this cytoplasm. 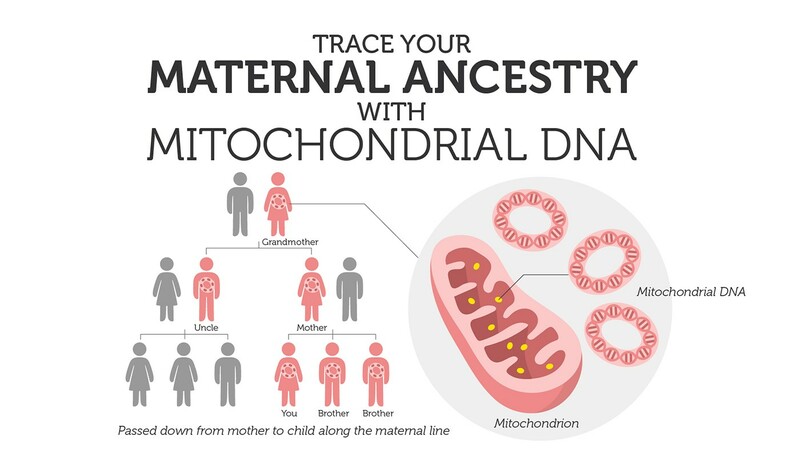 This means that every child inherits all of their mitochondria from their mother, and hence all of their mtDNA is from their mother too. Mitochondria are the powerhouses in our cells, i.e. they are responsible for making energy. These tiny organelles are essential for our survival, but why do they contain their own DNA? It is believed that mitochondria were once free-living bacteria that were engulfed by large host cells. These mitochondria and large host cells evolved to become completely dependent on each other for survival – a scenario known as endosymbiosis. Several observations support this hypothesis. Mitochondria are the same size and shape as bacteria. They can divide and make copies of themselves independently from the host nuclear DNA. MtDNA is also circular, just like bacterial DNA. 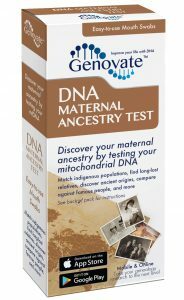 So how is mtDNA useful for tracing maternal ancestry? 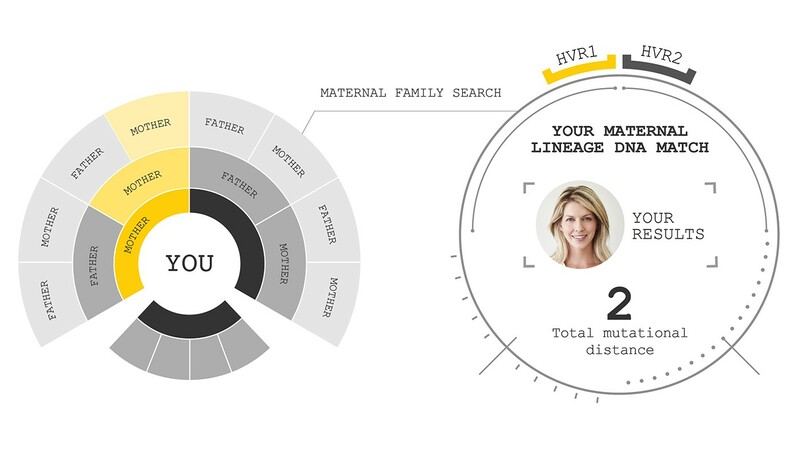 All of our mtDNA (whether we are male or female) is inherited from our mothers. And because there is no paternally inherited mtDNA, there is no possibility of “genetic mixing” (recombination) at each generation. This means that mtDNA remains virtually the same from generation to generation through the maternal line. However, genetic changes can still randomly occur, even in our mtDNA. These changes happen naturally over time, but at quite a slow rate. This means mtDNA variation is useful for tracing deep ancestry over thousands of years. We can even use these changes to generate a global family tree with “Mitochondrial Eve” located at the root. “Mitochondrial Eve” or “Genetic Eve” is thought of as the “ancestral mother of all people living today”. All of the mtDNA variations around the world fit into the mitochondrial family tree, and can be traced back to “Mitochondrial Eve”. The major branches of the mitochondrial tree are called haplogroups, which can be thought of as ancient family groups that existed years ago. Haplogroups are further divided into finer branches, known as subclades. DNA testing can determine both mtDNA haplogroups and subclades by sequencing three different regions of the mitochondrial genome. The coding region is the majority of the mitochondrial genome, and contains all the genes necessary for protein production. The two small hypervariable regions (HVR1 and HVR2) contain non-coding DNA i.e. these regions do not encode any proteins. This means that the hypervariable regions tend to change at a faster rate, as any changes are unlikely to have a detrimental affect on cellular function. The complete mitochondrial genome (HVR1 + HVR2 + coding region). Sequencing just your HVR1 and HVR2 regions gives you information about your most likely haplogroup. Testing more regions increases the resolution of exactly where you fit in the mtDNA family tree. 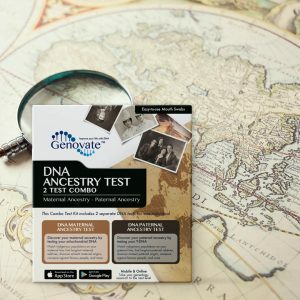 To confirm your haplogroup and subclade, you will need to have the full mitochondrial genome analyzed. The mtDNA family tree is still growing and changing, as more information about mtDNA becomes available. However, with DNA sequencing becoming more affordable, a complete mtDNA family tree may not be too far off. Paternal ancestry can also be traced, but this is done through the analysis of genetic variation in the Y-chromosome (Y-DNA SNPs and STRs). 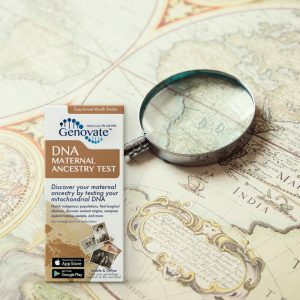 Start your journey to discover your maternal roots with the DNA Maternal Ancestry Test. Previous articleDid you know “Y-chromosomal Adam” is the ancient father of all people living today? Next articleDid you know DNA can influence your hormone levels?